It's been a while since I've reviewed a video game for you all but the wait will not disappoint. I've been getting more time to play through story modes and complete games to write reviews. For this edition of "In My Console" on this blog, I will be reviewing the new re-imaging of the bloody-fighting series: Mortal Kombat! 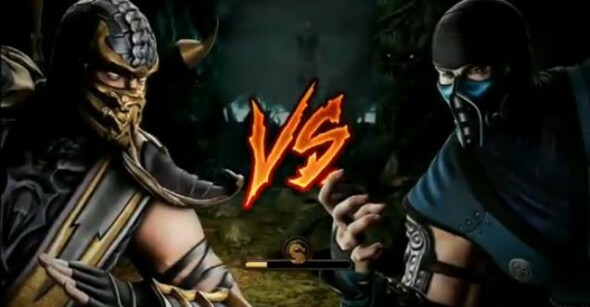 The Premise: The years of Mortal Kombat have dealt a heavy blow against the battle of Good vs. Evil. With the events of Armageddon coming to its climax, only Raiden and Shao Khan are left fighting on top of the pyramid while hundreds of their allied fighters lay dead on the fields below. When Raiden is defeated and about to be dealt the final blow, he speaks a mystical incantation that delivers a series of images from key moments throughout the last few years and a defining message that says "He must win" to himself years prior. Now reliving the events starting from the first game in the series, the visions have created an alternate time line where Raiden impacts decisions previously made with new options. Raiden's influence has spread throughout the first trilogy in the series by changing key events and slowly manipulating the thoughts of characters we have previously thought of as good or evil. With events ticking down to the ultimate conclusion of fighting Shao Kahn, what will the Earthrealm fighters do if they know that their decisions may lead them back to Armageddon? Where To Play: Mortal Kombat has been ported to a variety of systems such as PlayStation 3, Xbox 360 and Microsoft Windows. For the basis of this review, I have played this game on the 360. The Good: When dealing with a fighting video game series, many have deemed that they can be interchangeable with each other. The good points about the Mortal Kombat series is that it focuses on the raw and bloody appeal of fighting. The fatalities and new "neck-breaker" combinations deal heavy blows with great cinematics. The story mode definitely was a highlight for me because the first two games never really highlighted the story behind the characters and it was nice to get a real in-depth view of what the characters experienced in the first three tournaments. Also a favourite is the inclusion of new characters yet-to-be created such as Skarlett who started as a palette-swap glitch in the second game. You can see her in the background of story mode so I'm excited to read about her back-story and how she took part in the story mode.The Kombat Pass is a nifty idea that will be a hit or miss with this series. Multiplayer is a hot commodity to have so we'll see if people do end up purchasing the pass to play the game on friend's systems. The Bad: There were only a couple of things that I didn't like about this game. 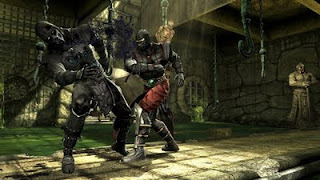 The fighting movements were a little choppy at parts and some of the fighting stances with previously top-rated characters were noticeably weakened in this game (i.e., Sub-Zero). My biggest negative point is Liu Kang. 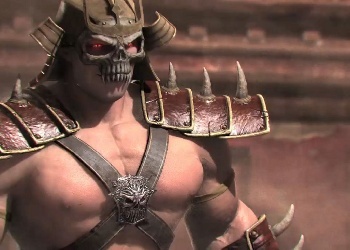 He was surprisingly a pain to play as in this series and when you had to fight against Shao Kahn to progress the story line, Liu Kang is hands down one of the weakest characters. I'm not bashing him because he's one of my least favourite characters but he definitely caused some stress to play his matches. While I absolutely love this series and thought this was a great addition especially as a re-imaging, they are a couple of issues that could have been looked at before releasing. The story mode was impeccable and I can't wait to see the sequel and how new characters are affected with the new time line such as Tanya and Shinook. The fighting combos bring a new essence to the game and I thought that each character was given depth and purpose whether they were a lead or supporting. The only thing I wish is that the story mode hadn't have finished too soon because they could have revealed so much more juicy details that we could have been shocked to find out. For the next couple of years, let's see the slight differences between the original time line and this new one. Start taking your bets to see which characters will make a reappearance in the newer games. Hmm... that gives me an idea for later! Agree or Disagree with the review? Share your thoughts and post a comment with how you felt about the game.